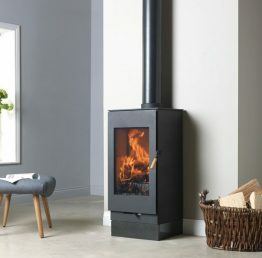 The Burley Carlby 9307 wood burning stove is a contemporary stove with straight lines and large fire viewing area. This would be perfect for a modern room with an understated style. 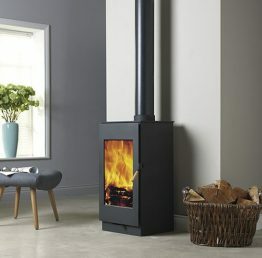 The Carlby log burning stove will fit into an inglenook fireplace but is quite happy as a freestanding stove. This stove is wood burning only and this includes logs, sawdust, briquettes and pellets. Like all Burley stoves, the Carlby is easy to control with its single lever operation. The Carlby has an impressive 89.1% efficiency rating and is extremely easy to use and maintain.